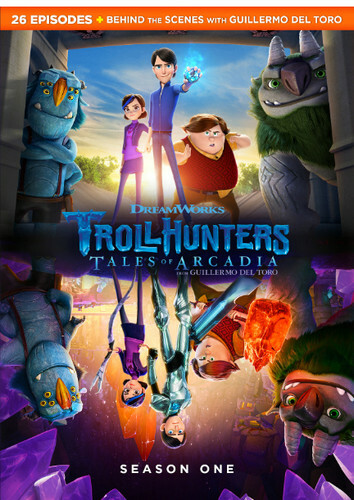 From the limitless imagination of acclaimed filmmaker Guillermo del Toro comes a tale of two worlds set to collide in the epic saga DreamWorks Trollhunters. When ordinary teenager Jim Lake Jr. Stumbles upon a mystical amulet on his way to school one morning, he inadvertently discovers an extraordinary secret civilization of mighty trolls beneath his small town of Arcadia. Suddenly destined to play a crucial role in an ancient battle of good and evil, Jim is determined to save the world - right after gym class. A must-see original series for the entire family, DreamWorks Trollhunters will bring viewers of all ages around the globe into this rich and creative world!